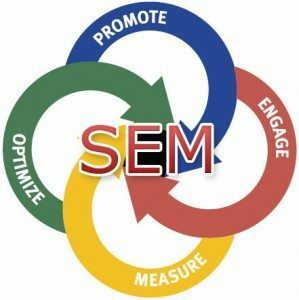 What Is SEM, PPC and Organic Search Engine Traffic. When promoting your website SEM (search engine marketing), Online Advertising and Social Media Marketing are a surefire way of getting noticed fast as well as being able to target specific consumer groups or industry sectors. Think about it for a minute. For someone to visit your website they need to be online right? So ……….. why not have your ads running online? Sure you could advertise on radio, billboards, TV, magazines or newspapers but then you are relying on people remembering you web address and going there the next time they are online. Sure, some will but most won’t because they will forget. On the other hand if they come across your ad while they are online all they have to do is click on your ad and they go straight to your website. Even without researching the many studies which prove this beyond any doubt it simply makes sense doesn’t it? Our team of SEO, Adwords, Social Media and Website Design experts are on hand to assess your individual search engine marketing requirements and provide a successful solution based on your budget, your capacity to service and your associated online assets. In other words one size doesn’t fit all and having a unique plan based on your individual circumstances creates a far greater chance of executing a successful online marketing campaign. A great start you can make prior to contacting us is to write out a list, in order of importance of the 10 most important terms you need to be found for online. You would be surprised how many business owners have not gone through this exercise, so why not do it right now? Oh, and one last thing. the vast majority of business owners ALWAYS get the first term on the list wrong but don’t worry, that’s easily fixed. Call us on 02 8006 2994 during business hours or use the online contact form below.